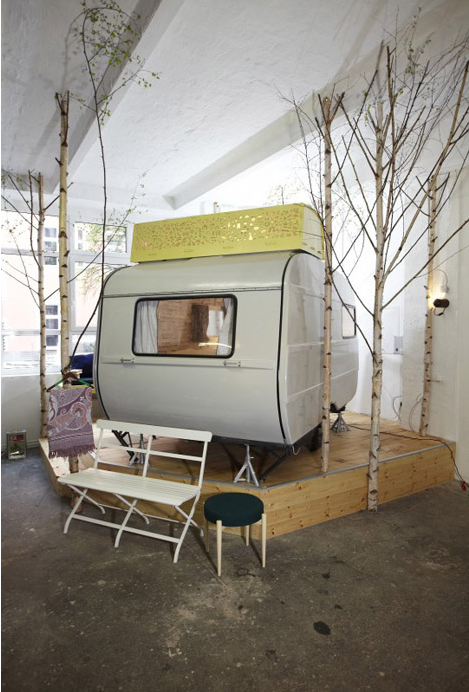 If you're into the whole caravan trend but still don't consider yourself outdoorsy enough to actually rough it by staying in one surrounded by night noises, then perhaps you should try camping indoors at the Huettenpalast hotel in Berlin developed by Silke Lorenzen and Sarah Vollmer. The concept itself is so genius, you could really do a lot with this idea. Instead of checking into a hotel and disappearing, you can socialize with others outside of your camper while still being indoors. Ha! So cool. 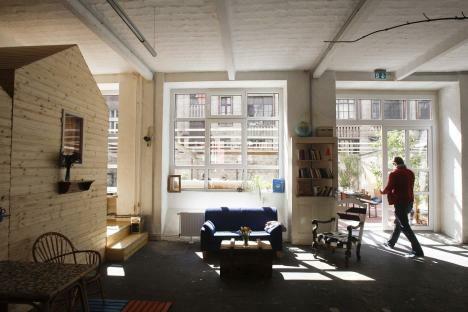 Check out these great rooms within rooms... There are cottages too! 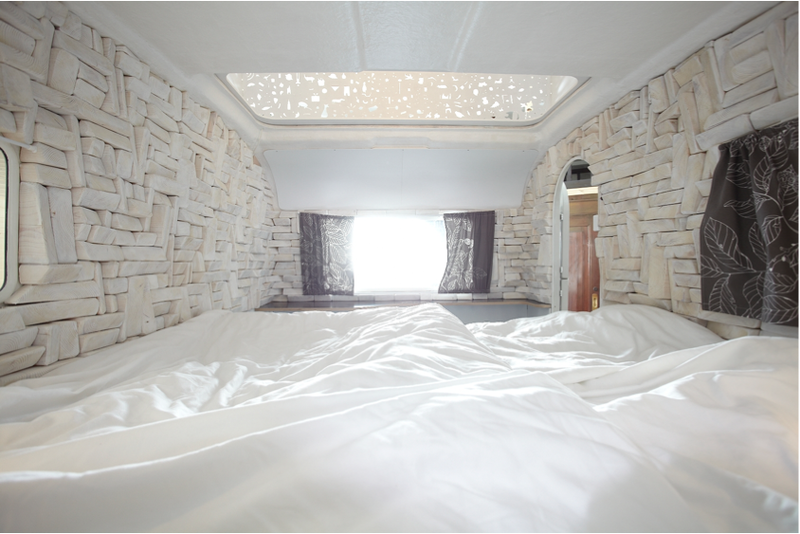 Instead of your standard hotel room, Huettenpalast recycles camper trailers and refurbishes and fits them to an indoor space for 40-60 Euros a night! 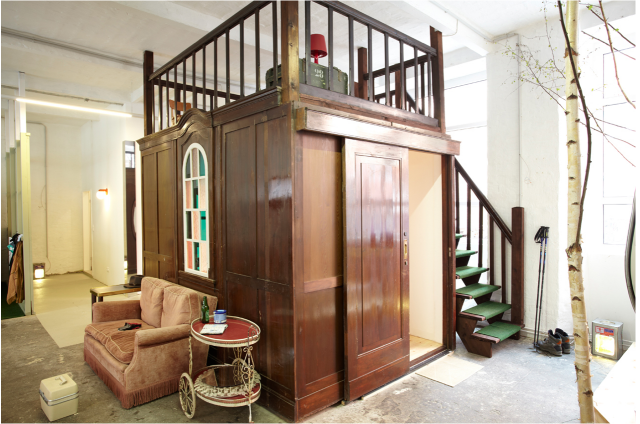 If you're a social traveler who wants to meet new friends and enjoy the great indoors, then this just may be the hotel for you. 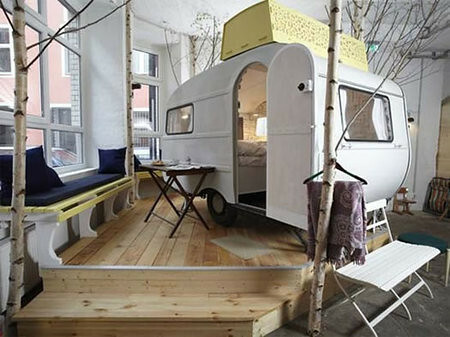 Would you stay at Huettenpalast? Thoughts? Blogging Your Way e-Class Registering Soon!